This is another healthy side dish, which is most commonly prepared in rural parts of Karnataka (India). 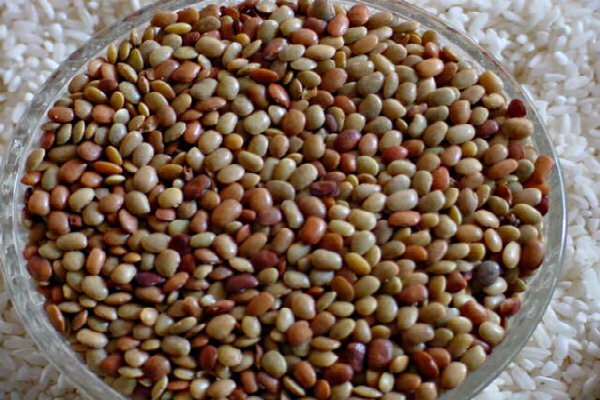 Horse Gram is a kind of bean commonly used in Southern part of India. It is rich in taste and at the same time provides you many nutritional benefits. As it is a grain with rich amounts of proteins, vitamins and iron, it is believed that it helps in reducing extra fats in the body and helps in reducing weight. The high amount of dietary fiber present in the horse gram balances the blood pressure and sugar glucose levels as well. This dish prepared from Hurali kalu (Horse gram) and some natural herbs and spices. This dish is served as side dish with rotis, chapatis and rice. My aunt used to prepare this delicious curry twice a week because of non availability of vegetables. I have learnt it from my aunt, I have modified little bit according to present requirement and taste. I am going to tell you the very simple way of preparing this dish so that you can, easily, prepare this in a short span of time. Let’s see the preparation of Hurali Kalu Palya. You can prepare dry coconut powder in home, it is fresh and tastier than ready made coconut powder (desiccated coconut powder). Cut one dry cocnut into small slices or grate it and grind it to a fine powder. You can store it in a bottle for 2 months. You can store it in Refrigerator. Wash hurali kalu (horse gram) with plane water. Soak them in a bowl with 2 cups of water (around 400 ml). Soak them overnight for better results. Drain water from soaked beans. Pour soaked beans directly in to a pressure cooker (capacity of 2 or 3 litres). Add a cup of water and 1 tea spoon salt and 1/4 tea spoon of sugar to it. Close the pressure cooker with lid. Place pressure cooker on medium flame, allow it to whistle 3-4 times. Horse gram is little bit harder than other grains, that is why it requires little bit more cooking. Allow the cooker to cool down. It may take 10 minutes to cool down. Meanwhile you can prepare the remaining stuff. Chop onions into small pieces and chop coriander leaves. Keep them aside separately. Cut tomatoes into medium size cubes. Pour them in to small mixer jar. Grind it to a fine paste without adding water. Now your “Homemade” tomato puree is ready to use. Take it out to a small bowl. Tomato puree is readily available in market. If you can’t prepare it in home, you can purchase it. It is better to prepare it in home which enhances the taste and color of the dish. It is very easy to prepare in home, isn’t it so? Heat a sause pan, pour oil in it. Add mustard seeds, wait until they split completely. Add groundnuts, chana dal and udad dal to it one by one. Stir them continuously until they become golden brown. It may take 1-2 minutes, add haldi powder to it. Add chopped onion to it and cook it until it starts leaving a pleasant aroma or color of onion gets changed, it may take 3-5 minutes. Pour tomato puree over it, mix it with the help of a spoon and cook it for 2-3 minutes. Open the pressure cooker, pour boiled beans to above stuff. Add remaining salt and red chilli powder to it and mix well. Cook it for 3-4 minutes. Sprinkle dry coconut powder and chopped coriander leaves all over and mix it evenly. Close the pan with lid and cook it for 2 minutes and turn off the flame. Don’t open the lid immediately, leave it closed for 15 minutes so that dish will not loose its taste and flavour. Now your tasty and healthy Hurali Kalu Palya is ready to serve. serve it hot with plane rice, rotis or chapatis. It is a multipurpose curry, healthy and tasty as well. Isn’t it simple!